Even when the weather is freezing outside, the sun can be very bright. I find myself using car window shads quite often. 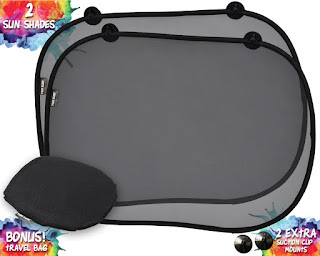 I recently got this 2 pack of Baby Sun Shades, Extra Large Car Window Shades for Side Windows with EXTRA suction cups, and have been very glad to have them in the car. 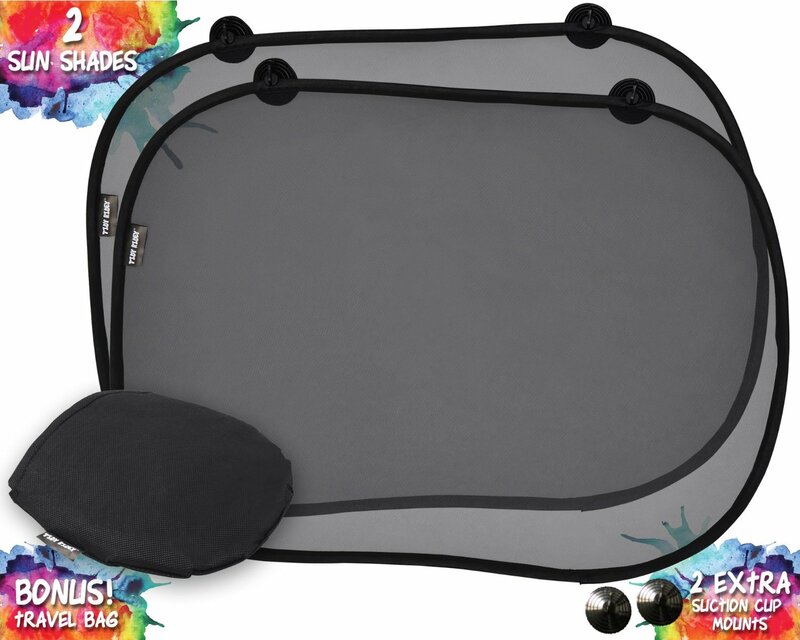 They are easy to install using the included suction cups, and I haven't had any problems with them falling off. I like that they included a couple of extra suction cups in case they were needed though, as this is a nice touch. My grandchildren like having the shades in the car, and a couple of days ago when I had a headache and the sun was extremely bright, I put one on my window to help with the glare. It did a nice job of blocking the glare without blocking my vision.